After 9pm PST, please book online. 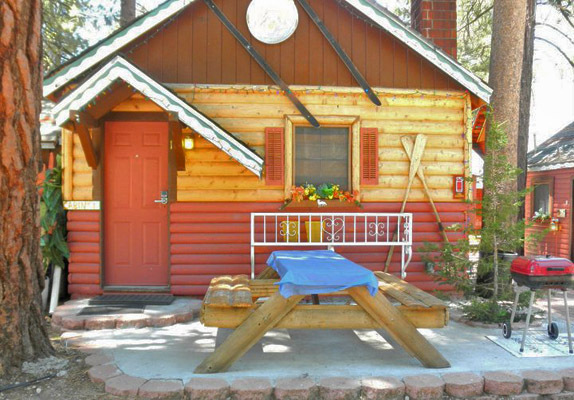 Our cabins are quiet and family-oriented. Loud noise by guests and outdoor music is not tolerated. Television, movie channels & dvds, wifi and bbq pits - all FREE! Click the images below to enlarge. Read our Frequently Asked Questions section. 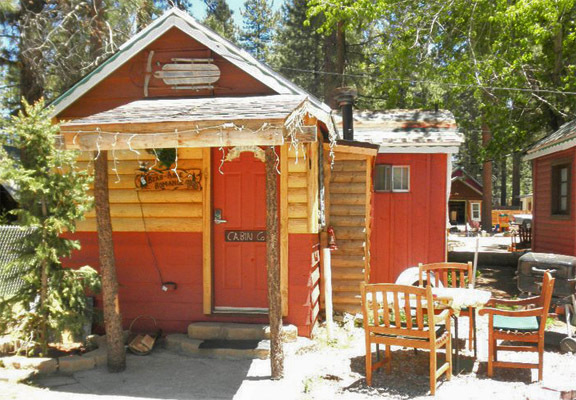 FREESTANDING CABIN AT 39332 Big Bear Blvd. 2-bedroom, 1 bath - king, twin and twin bunk beds, and double sofa bed. Fireplace, fully-equipped kitchen & dinette. BBQ and picnic table. 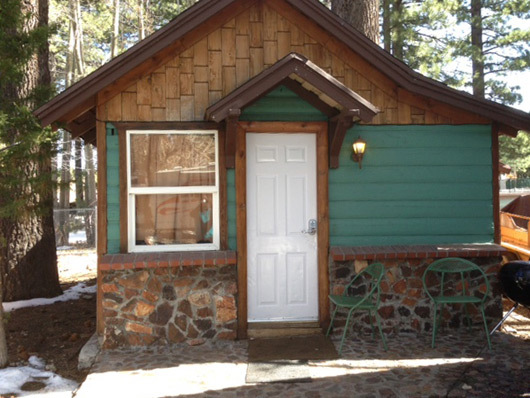 FREESTANDING CABIN AT 39252 Big Bear blvd., One bedroom, 1 bath, fireplace, queen, plus futon in living room. Fully equipped kitchen for cooking and serving. BBQ and picnic table. 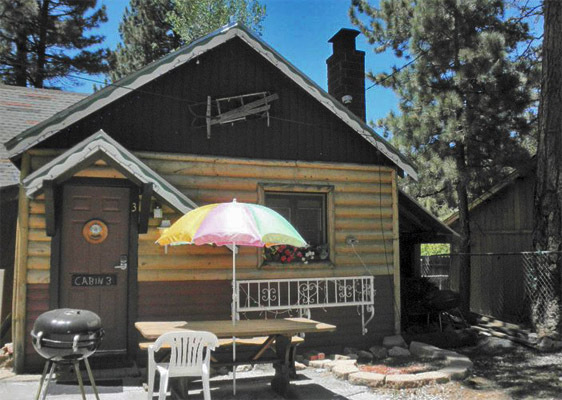 FREESTANDING CABIN AT 39252 Big Bear blvd. 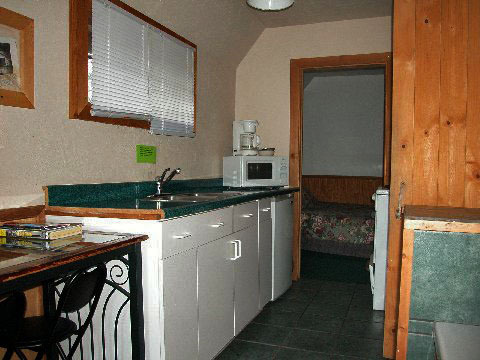 Studio, 1 bath, w/kitchenette, shower/bath, queen bed ,gas fireplace, jacuzzi bathtub, equipped kitchen for cooking and serving, BBQ and picnic table. 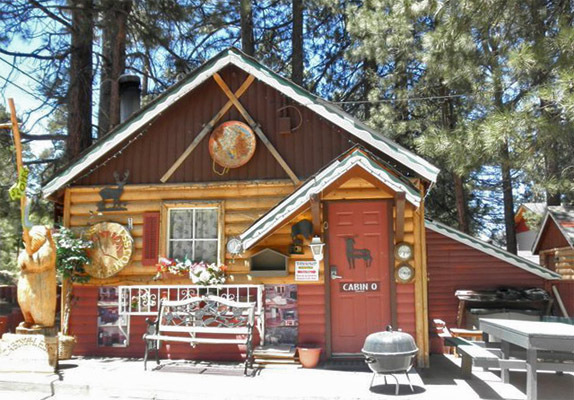 FREESTANDING CABIN AT 39252 Big Bear Blvd. 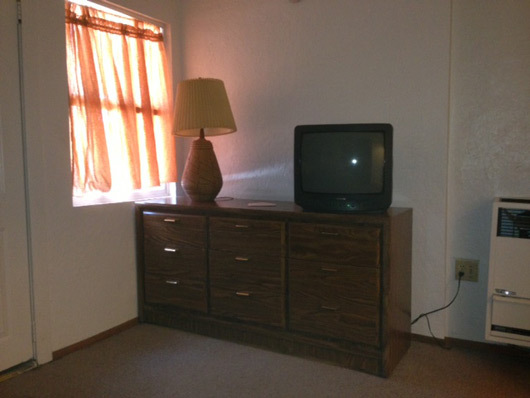 2-story, 2-bedroom plus bonus walk-through, 2-bath, queen bed, full\twin bunk, queen futon. Fireplace, Fully equiped kitchen for cooking and serving, BBQ and picnic table. FREESTANDING CABIN AT . 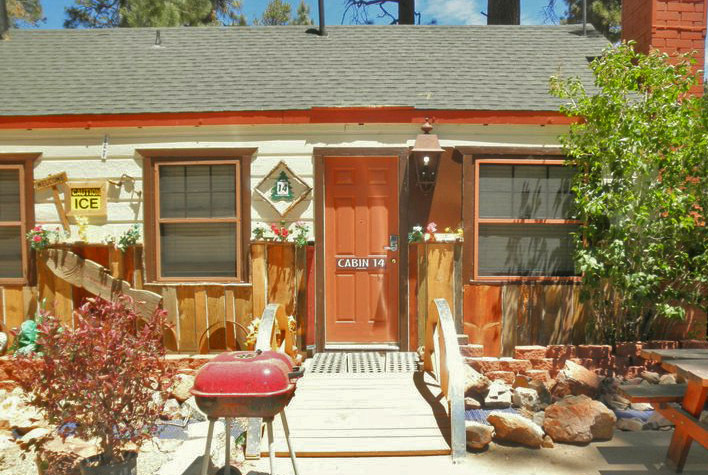 Studio with 2 doubles, kitchen w/stovetop only, shower bathroom, fully equiped kitchen for cooking and serving, BBQ and picnic table. No fireplace. FREESTANDING CABIN AT . 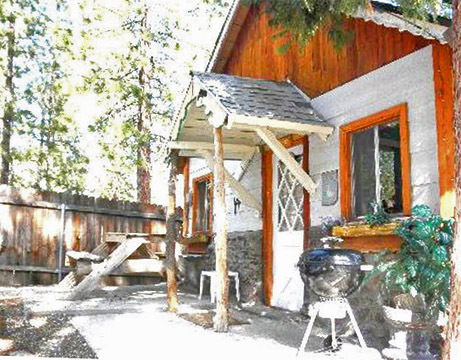 One bedroom w/queen,, 1 bath, fireplace, full kitchen for cooking and serving, BBQ and picnic table. FREESTANDING CABIN AT . 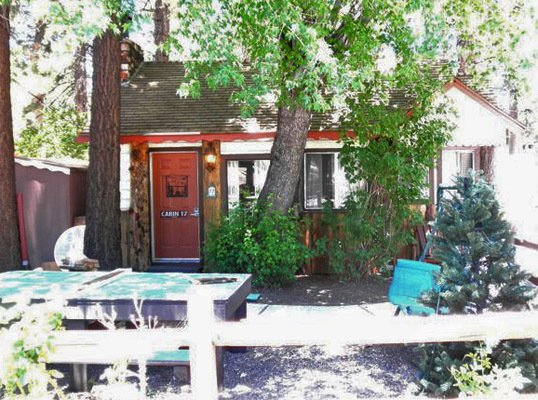 One bedroom w/queen, 1 bath, fully-equiped kitchen for cooking and serving, fireplace, shower, BBQ and picnic table. One bedroom w/queen, 1 bath, full day-bed, fully-equiped kitchen fireplace, shower/bathroom, BBQ, charcoal and picnic table by your door. This cabin shares a wall with cabin #15. FREESTANDING CABIN AT . 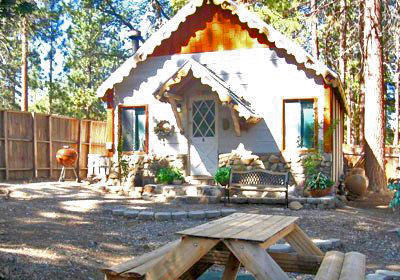 One bedroom w/queen, full day bed in living room, 1 bath, kitchen, fireplace, shower, BBQ, charcoal and picnic table. This cabin shares a wall with cabin #14. FREESTANDING CABIN AT . Studio w/queen, 1 bath, featuring a tub near fireplace, fully-equipped kitchen for cooking and serving, shower/bathroom, bbq and picnic table. This cabin shares a wall with cabin #7. FREESTANDING CABIN AT . One bedroom w/queen, double day bed in living room, twin in private room. Could be opened between cabins #6 and #7. 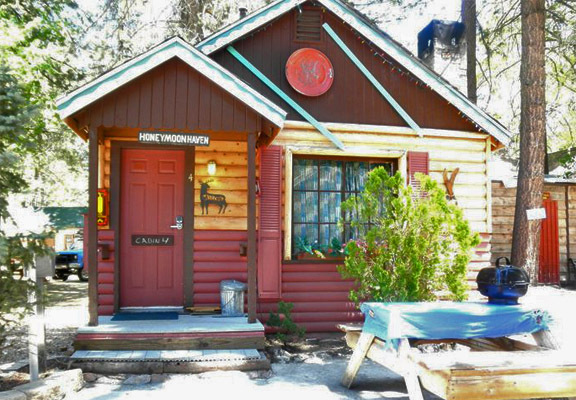 Fireplace, fully-equipped kitchen for cooking and serving, 1 shower/bathroom, BBQ and picnic table. FREESTANDING CABIN AT . 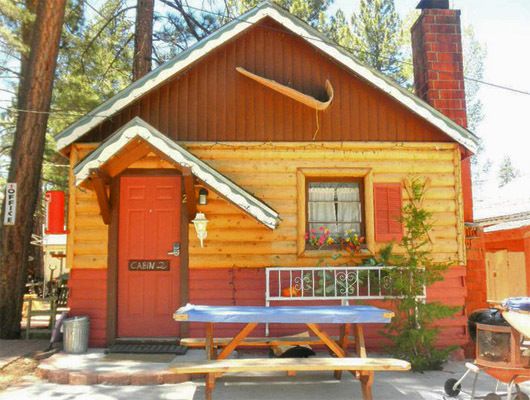 Large studio, log interior, w/2-person jacuzzi, king bed, wood fireplace, shower, and fully-equipped kitchen for cooking and serving. BBQ and picnic table. This cabin is situated below cabin #22 (which generally only rents when we are full), and is from the 1800's where the ranch hands used to live (ranch is still there!) Rustic and romantic. FREESTANDING CABIN AT . 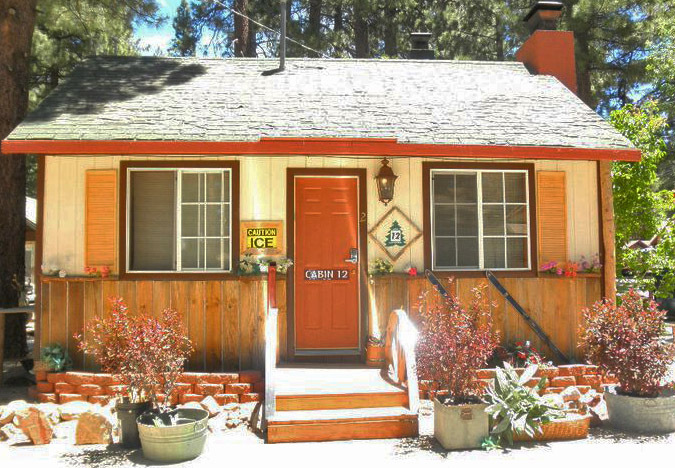 Upper unit, above Cabin #21, one bedroom w/queen, 1 bath, fireplace, sleeper futon. Private patio with view. Fully-equipped kitchen for cooking and serving. BBQ and picnic table. Log interior, from the 1800's, where the ranch hands used to live (ranch is still there!) Rustic and romantic. Only 2 quiet adults permitted. 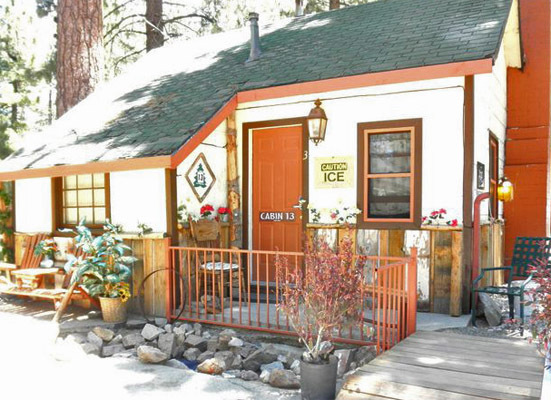 Sleeps 2 to 4 w/jacuzzi! FREESTANDING CABIN AT . One room w/king and small couch, 1 bath. Sleeps 2-3. 2-person spa. Kitchen - fully equipped for cooking and serving. Wood fireplace, private BBQ and picnic table. Log interior, from the 1800's where the ranch hands used to live (ranch is still there!) Rustic and romantic. FREESTANDING CABIN AT . One bedroom w/queen plus futon in living room, 1 bath. 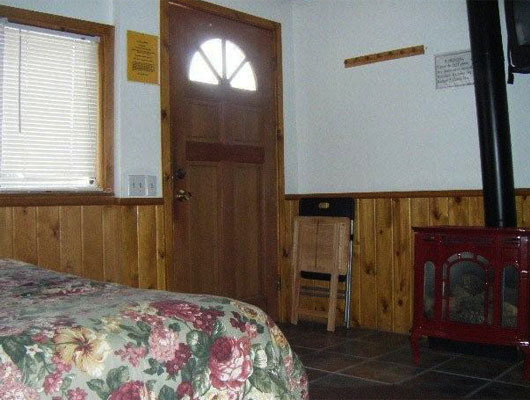 Wood fireplace, shower, and fully-equipped kitchen for cooking and serving. BBQ and picnic table. Log interior, from the 1800's where the ranch hands used to live (ranch is still there!) Rustic and romantic. FREESTANDING CABIN AT . 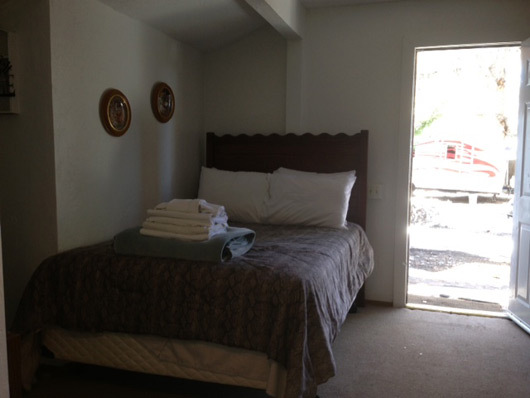 One room w/king, 1 bath, jacuzzi, fireplace, and fully-equipped kitchen for cooking and serving. BBQ and picnic table. Log interior, from the 1800's where the ranch hands used to live (ranch is still there!) Rustic and romantic. Sleeps 2 to 4 w/Tub! FREESTANDING CABIN AT . 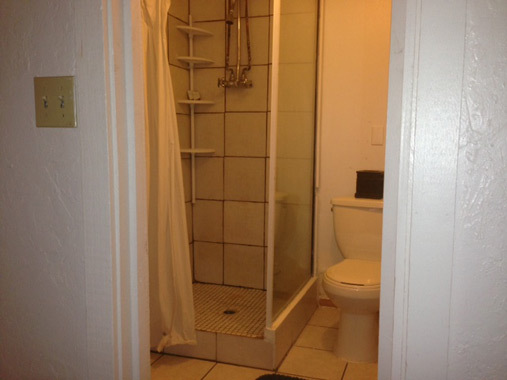 Large studio w/king & futon, full bath. 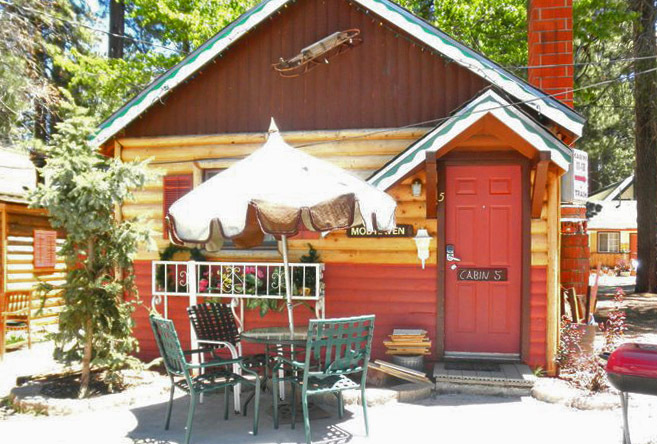 Gas fireplace, fully-equipped kitchen for cooking and serving, BBQ and picnic table. Approx 400sf. 1/2 acre yard shared by only 3 separated with ample parking. 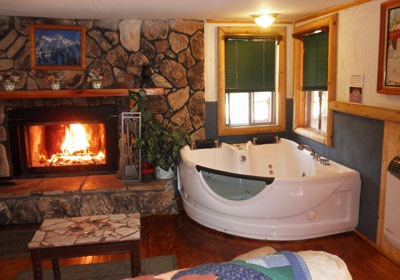 Sleeps 6 to 8 w/jacuzzi! 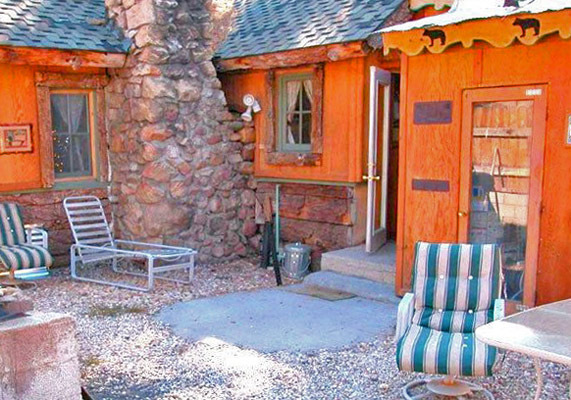 FREESTANDING CABIN - Very vintage, 1800's 2 Loft, 1 bath. (Bedrooms are lofted, semi private low headroom, not good for tall people.) Each BR with one queen and one twin. Large living room, 4-person spa-filled fresh for each arrival. Gas fireplace. Fully-equipped kitchen for cooking and serving. Outdoor wood fireplace with gazebo. Approx 800sf. 1/2 acre yard shared by only 3 separated with ample parking. 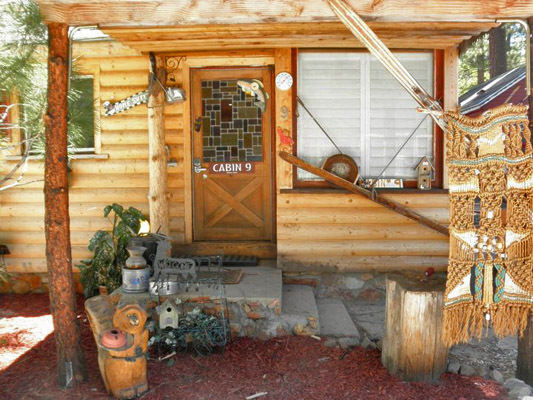 FREESTANDING CABIN - Very Vintage 1800's 3-bedroom, 2 bath. 2 queens, 2 twins, and 1 sleeper sofa. 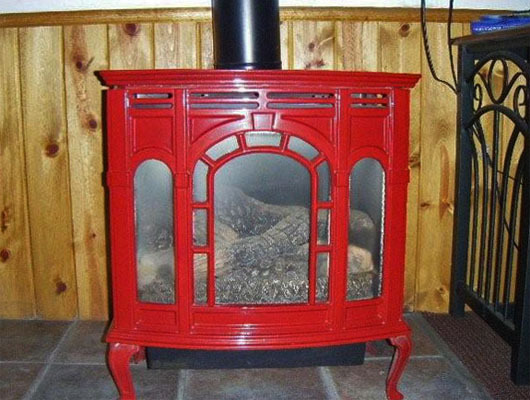 Wood fireplace, fully-equipped kitchen for cooking and serving. Approx 900sf. 1/2 acre yard shared by only 3 separated with ample parking. Charcoal BBQ and picnic table. 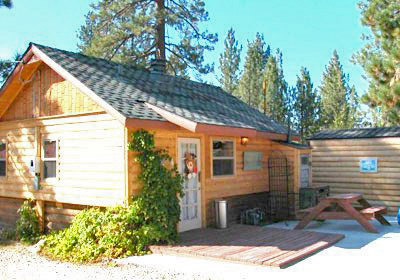 FREESTANDING CABIN AT . 1-bedroom w/queen bed, 1 bath, couch. Full kitchen for cooking and serving, gas fireplace, TV, shower, jacuzzi. 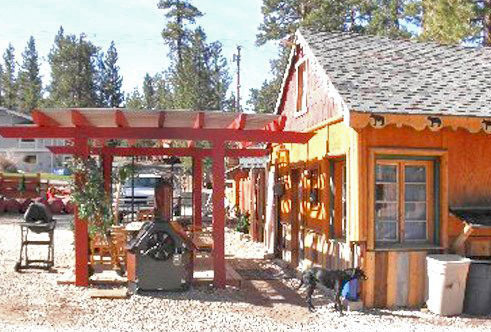 Free standing cabin in the Village of Big Bear, steps to shops bars and resteraunts. 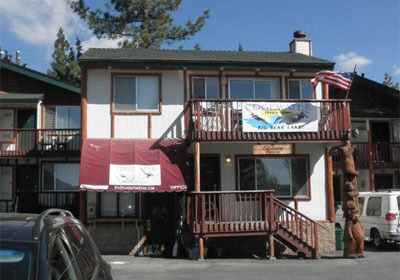 Close to marinas and activities, 1 minute to Ski Tiny Studio. 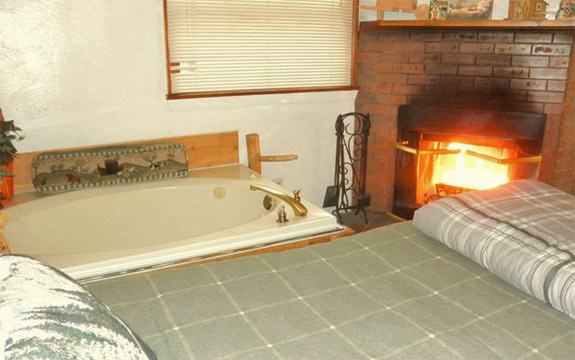 Shower bath, 1 bed full, heater, cable tv, wifi, bbq and picnic table. Pet friendly. Lakefront condo by the Village. 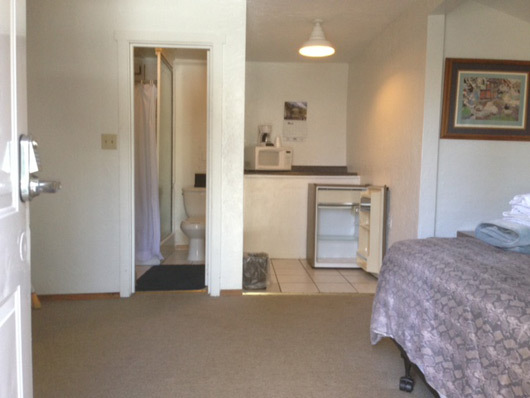 Studio with 1 bath, 2 queens beds, kitchen fully-equipped for cooking and serving (stove top only), bbq & private patio. Condo has small park setting and beach shared by 9 units. Lakefront condo by the Village. Studio with 1 bath, 1 queens bed, kitchen fully-equipped for cooking and serving, gas fireplace, bbq & private patio. Condo has small park setting and beach shared by 9 units. Lakefront condo by the Village. 2br with 2.5bath. 1 queen in one bedroom, 1 queen & twin bunk in 2nd bedroom. Kitchen fully-equipped for cooking and serving, gas fireplace, bbq & private patio. Condo has small park setting and beach shared by 9 units. 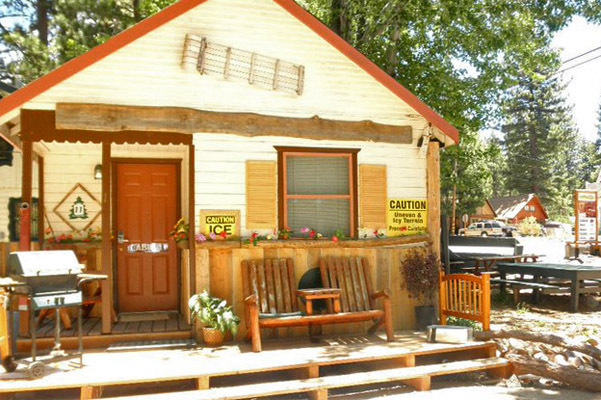 Sleeps 6 only, additional people must be cleared before reservation is made! We roll out the red carpet for your pet! Pay only a $9 one-time fee per pet for your entire stay. Please read our Pet Policy. 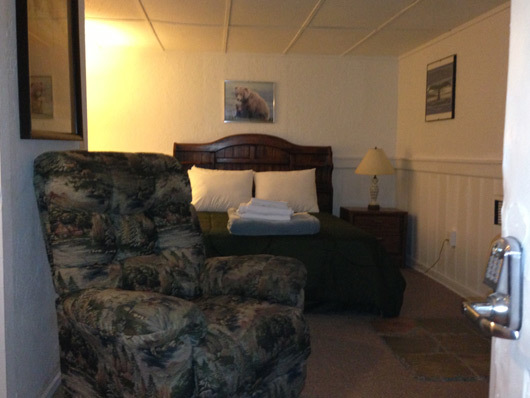 Stay with us, and enjoy discounted use of kayaks, bikes, sleds, fishing gear and free DVD movies and WIFI internet!